Who says that landscaping is limited to your backyard or front yard garden? Having a roof garden gives a more dramatic touch to any structure. It serves as a secret hideaway from the city’s busy life. You would not need to go far in order to be one with nature for you can find it in home’s and hotel’s rooftop. 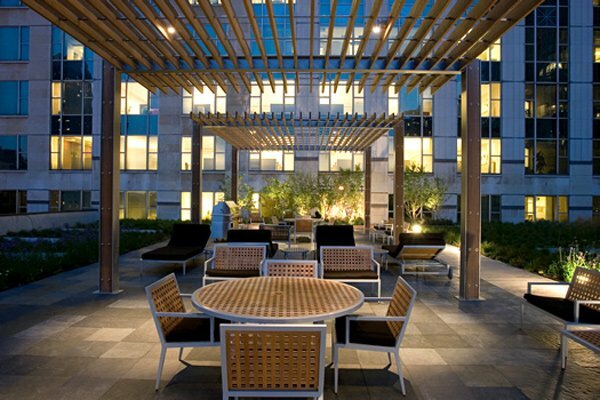 It is indeed impressive how a roof garden is being created and designed to suit the needs of the users. It can also give anyone an area perfect for relaxation and entertainment. Well, anyone would love to have their own roof garden especially if you will see below’s showcase of beautiful roof gardens with truly appealing landscaping and design concepts. It really takes a creative mind in order to come up with such alluring designs. 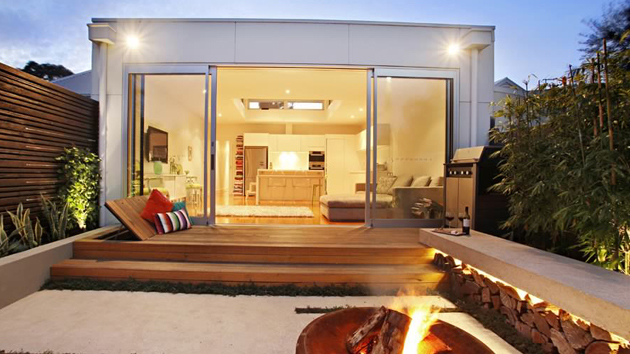 Come take a look on how different designers titivated a roof garden. Hidden over 25 floors, you can find this rooftop garden marvelously sculptured with hedges, iris and lavender creating a whimsical effect. Located on top of a city penthouse, this rooftop garden is enchanting with ponds, walkways and a hot tub where one can get a good view of the harbour and the city skyline. 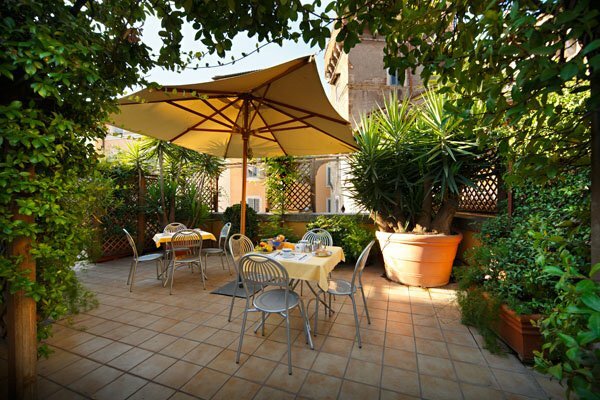 A truly appealing garden where one can stay to have a delicious meal or to merely sit and have a look at the city. A green roof with design qualities that meets the high-end amenities of this 14,000 square feet luxurious condominium. 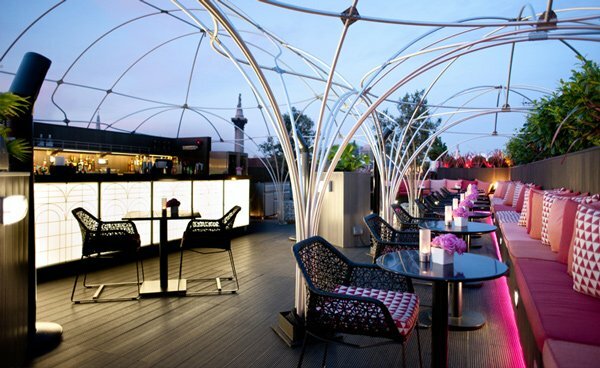 You will have a romantic evening in this roof garden that has dramatic lightings and pretty ornamental plants. A roof garden located from the upstairs bedroom features raised beds, red cedar deck, sandstone, artificial grass and irrigated planting. Topping a two storey apartment, this contemporary garden is intended for relaxation and entertainment where you can also find complete facilities for cooking. 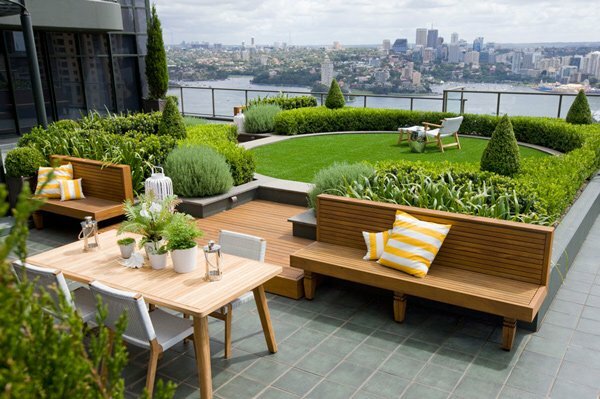 Great landscaping with the use of verdant green plants make this rooftop garden a sure hit. The touch of nature in this urban family house certainly gives a unique and relaxing ambience to anyone who will opt to stay in this rooftop complete with dining and living areas. 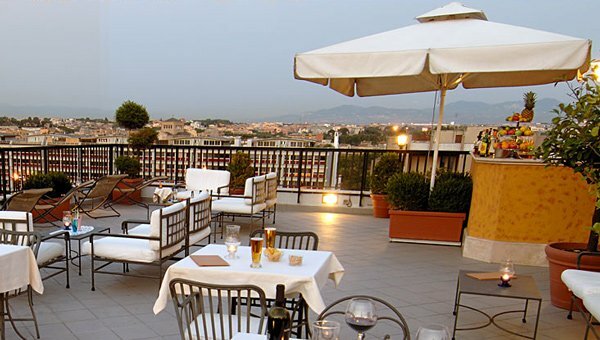 Very stunning and creative roof garden on top of a hotel where you can get a toast of your favorite wine and drinks. 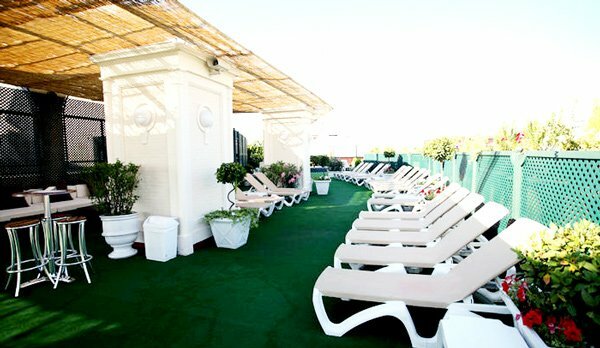 Lounge in the sun and enjoy delicious treats in this fabulous rooftop garden where you can also take a dip from the full size swimming pool. Variety of plants surrounds this garden with a seating area that uses materials to complement with the entire garden. A garden possessing a unique design of the house with a continued hardwood flooring from the inside. 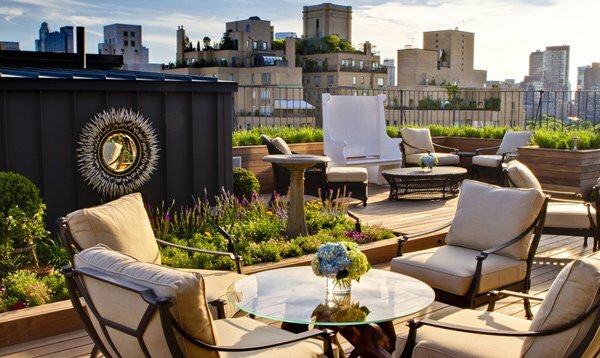 Seating areas and a sculpture are the highlights of this roof garden with a classic look. Even without taking a look at the vast beauty around it, this garden already stands proud with its sophisticated landscape. 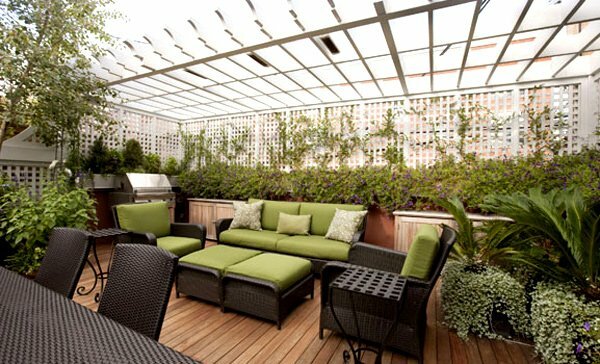 Having a roof garden is indeed a pride for every home owner. 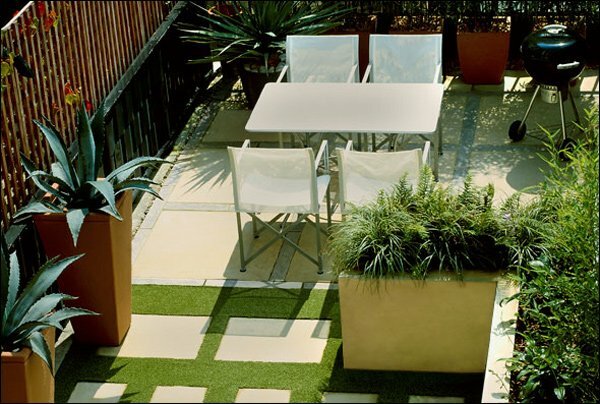 With these designs as inspiration, you can now design your own roof garden in whatever manner you want it. 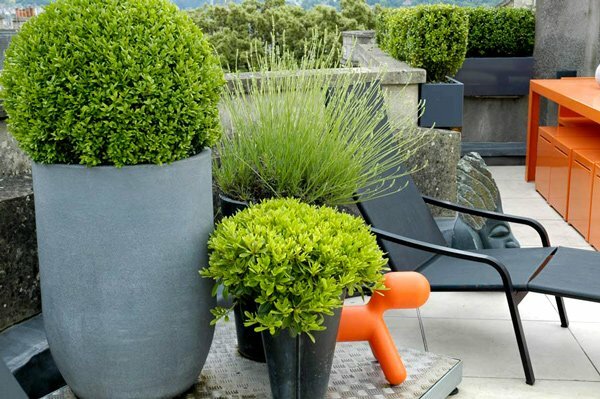 Be sure also to incorporate function and usage aside from mere aesthetics in your roof gardens. Stunning, amazing, fascinating, and extremely beautiful! This roof landscaping is a nice combination of art and great taste, with a blend of excellent interior design with live plants and nature. It is absolutely impressive! 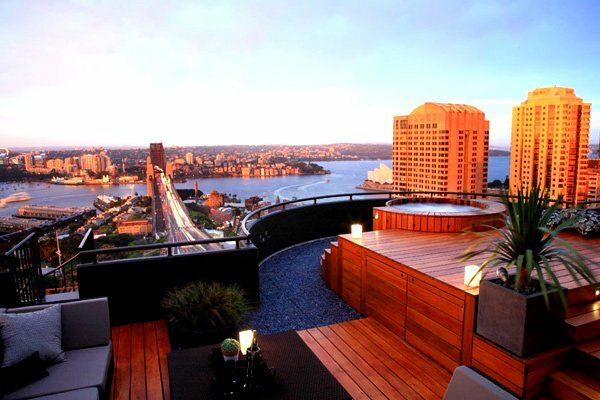 love the rooftop garden in the sydney pic. The cedar patio with built in hottub is a dream. ! !